MONDAY: Strength training day! I worked on my legs literally all day. Like I said earlier the baby didn't nap well this week so I started my workout in the morning and after having to stop multiple times throughout the day I finally finished all sets and reps after the baby slept for the night. I used dumbbells and a resistant band to workout my legs. Many squats and lunges were involved. TUESDAY: Four mile run. 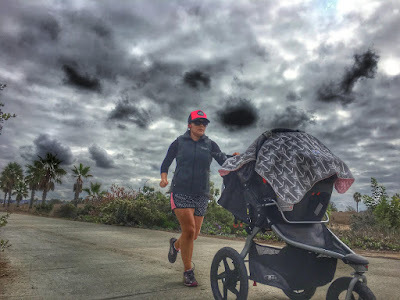 My legs felt a bit heavy so it was a slow four mile run with the stroller. WEDNESDAY: Another four mile run. A bit faster than Tuesday's run since the legs felt way better. THURSDAY: Rest day, lots of stretching and absolutely no running. 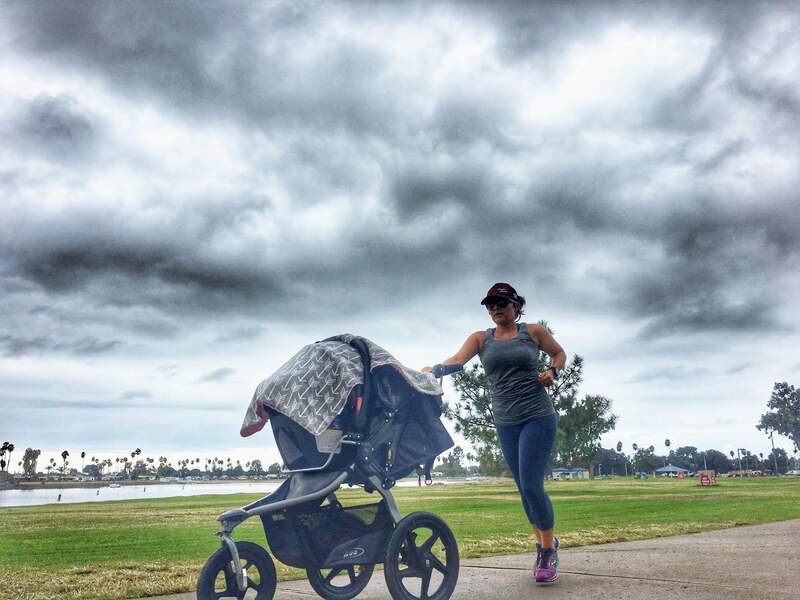 FRIDAY: I walked for 50 minutes around my neighborhood with the stroller. I live on a hill so this wasn't some easy walk. I purposefully chose to walk in areas were the hill grade was steep. Pushing a stroller up these hills made me work up a sweat. SATURDAY: Six miles! The longest distance I've ran in months. I was a bit terrified about this run but honestly I did great. I actually ran this by myself since baby Dahlia gets fussy after four miles. My pace was way better than I had expected and I managed to get negative splits. SUNDAY: Well today I went for an hour walk with my entire family (husband, baby, and two dogs). It wasn't really a rest day since my legs were tired afterwards. 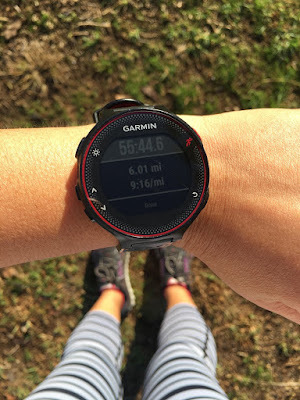 UPCOMING WEEKLY GOALS: So this week my long run will be a 7 mile run. I'm going to focus on negative splits on my easy runs and try to get my weekly mileage up to 20 miles. This past week I really only ran 14 miles on three runs so this week I'm hoping to get in four runs with a strength training day somewhere in the middle. I'm still not running for a specific pace so there really is no pressure. I'm still just trying to get back into cardiovascular shape. Have a great week everyone! 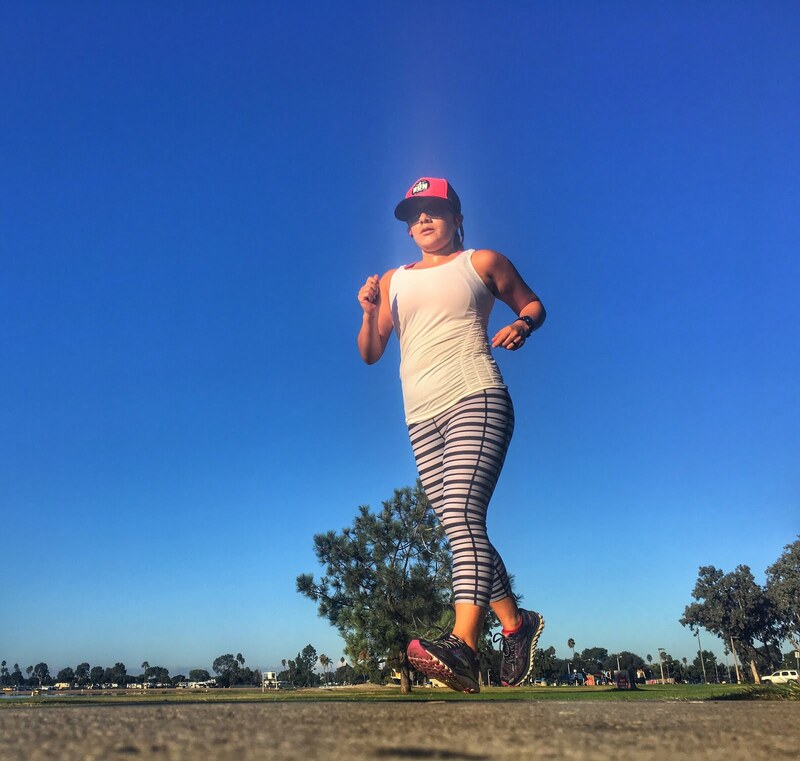 Come back next week to hear how my half marathon training went. Oh and if you happen to be a nursing momma, come check out the blog tomorrow. I have a special blog post for my breastfeeding moms out there. You know what seriously i am impressed.I mean you have baby and other daily activites but still you have managed everything so properly normally women can't handle.Hats off to you. I am very happy that I could read this post. Your publications are always inspiring.